My pregnancy was a surprise to me. I didn't realize that I was pregnant until I was seven months along. I had been trying to get pregnant with my son’s father, who is now deceased. In January 2004, I thought I was pregnant because I had not had my period. I went to my gynecologist and had a pregnancy test via urine. It turned up negative. At the time, I had been training for women's professional football. I was running 2-4 miles a day, practicing catching the football, etc... and of course eating healthy. I was not taking any medications or drinking alcohol and was in pretty good health. A few months went by and I still hadn't had my period. I went back to the doctor and met with a nurse practitioner. I took another pregnancy test via urine... still negative. The nurse practitioner at my gynecologist’s informed me that if I was trying to get pregnant, that maybe it was my husband's issue and that he should be tested. I informed her that I was training for football and she said that if I wanted to wait, that maybe I should go on birth control pills. I declined her offer, because birth control pills make me sick. I went home and continued training for several more months. I started waking up every morning sick to my stomach. My husband and I thought I had the stomach flu, although the sickness was only in the morning. It went on for about a month. Early July, I was laying in bed one morning and I felt something in my stomach. Like a kick. I thought maybe that there was something wrong with my stomach. I had my husband take me to Urgent Care and I told them what was going on. They took a blood test and urine test. The urine test came up negative for pregnancy, but the blood test came up positive. I was informed that I was pregnant and immediately made an appointment with my OB/GYN. My OB/GYN confirmed my pregnancy and began scheduling appointments for me. Most mothers-to-be have time to get a nursery ready, buy baby clothes, buy maternity clothes, etc... I had less than two months to do EVERYTHING! And in my final tri-mester to boot! So, in between battling cravings, morning sickness, working a job, doctor's visits, swollen ankles, back pains... I had to get ready for my new arrival! Did I forget to mention, this was my first child! I had a sonogram done, pictures taken and was told I was having a baby boy! Everything looked normal with the sonogram, except that my son was giving the technician the middle finger in his first picture! I knew at that moment that my new little one was going to be a handful. The doctors weren't quite sure when my due date was. So, I was scheduled for an amniocentesis to estimate when my due date was. The amniocentesis sent me into contractions and they knew it was too early. Boy, were those contractions painful! I was given medication to stop the contractions and kept overnight in the hospital and released the next day. My dear sweet little guy was "sunny-side up" and turned around, so I was scheduled for a C-Section on August 10, 2004 in the morning. They had estimated a few weeks too early and my son was taken to NICU (Neonatal Intensive Care Unit) and hooked up to all sorts of machines and a life support machine was waiting nearby. His lungs weren't fully developed yet. He stayed in the NICU for about three weeks. There were complications of him not breathing or he would stop breathing when he would be fed. After I brought Nick home from the hospital, he started progressing as any normal child would. He began speaking with words like, "mama", "dada", "kitty" (we have two cats). He started to first roll around and then shortly thereafter he began to crawl. He loved to eat and whenever he would hear his spoon scrape the bottom of the jar, he would get upset and cry because he knew there would be no more food until his next feeding. Nick was showing high signs of intelligence and problem solving at a very early age. He slept in my room in his crib. Next to his crib there was a dresser, but it was way out of his reach. I placed his diapers, wipes, powder, etc... on this dresser and knew there was no way he could get to the items. Unless, of course, his arms grew about 5-6 ft long or he figured out how to move things with his mind. The first morning I walked into the room after he had his nap, several of the items were in his crib! I took a step back and looked around. There was NO WAY he could have reached that far and got those items. I took them out of his crib and put them back on the dresser. He wasn't too pleased about his newfound treasure being taken away. I thought maybe that I had forgotten to put them away. Yeah. That was it. Lack of sleep... rushing around… changing diapers...new mom duties... Yeah, I had forgotten to put them back on the dresser. For his afternoon nap, I made sure I had taken everything and put them back on the dresser. I checked again. OK. Everything was put back. I closed the door and let him take his afternoon nap. Holy smokes! He had the items off his dresser in his crib once again! My heart started racing. Do I call CNN? Do I call the local newspaper? Who do I call to tell them that my baby boy can move things into his crib with his mind? Who do I contact to let them know that my little man is telekinetic? Then I came to my senses. There has to be a logical explanation to this. I stayed up all night wondering how this could possibly be happening. I will get to the bottom of it the next day! The next morning, I put Nick down for his nap. I checked on him every 15 minutes. I checked in on him by peaking through the door whenever I heard him move. By God, I was going to find out how this baby was obtaining objects from such a distance from his crib. Then it happened. The secret was revealed. I watched as my son, my little angel, my heart... took his blanket and in the fashion of Indiana Jones, whipped his blanket across the dresser several times to knock over the items! But he didn't stop there! The items had managed to roll themselves over to the bottom of his crib, at which point he could manipulate an item with his hands and bring it closer to him, then eventually a couple of more, into his crib! Whew! My son wasn’t some freak of nature who could move things with his mind. He was just a cunning little guy who knew what he wanted and figured out how to get it! We should all be so lucky at our adult age to obtain that goal! Nick was now being referred to as a “special needs” child. The doctor gave me information to start with, brochures and pamphlets, a book and some other things to get us started in handling a special needs child. It was like receiving information from a travel agent on where you were going for your vacation. But, in actuality, it was just the beginning of a journey into your own child’s mind. Still in shock after his evaluation and results, we drove home. I looked over at my husband and he was crying. I was sad too, but I didn’t cry. I was more focusing in on the information I had received and what steps I was going to take to get Nick into some type of program to help him. He was still my son, special needs or not, and that wasn’t going to change how I felt about him. If anything, it was going to make me love him even more for his differences from normal children. After Nick’s diagnosis, I called UCSD (University California San Diego) on a referral from his doctor. Some students who were going for their doctorate’s degree in psychiatry were conducting studies on Asperger Syndrome / Autism. We just made it in for the deadline fir the study. We went for our first appointment. Nick was led into a small room and we were told to wait in a sitting area. After awhile, Marie, the student who was conducting the study came into the room and told us that Nick would be prefect for her study. She then had us sign some release forms because they would be recording Nick’s progress. She explained that the study would go for six to eight weeks and what it would entail. Twice a week we drove to UCSD. There were several small rooms set up with glass windows that were one-way, for observing. All rooms had a video camera on the other side recording. Once a week, one of her assistants would come to our home and do the same things they would do at the college and record them. This was too see how he his behavior was on his own territory. Sometimes we watched Nick. They would give him certain toys to play with and observed how he played with them. At the beginning of the study, he wouldn’t play with them normal. Results: By the end of the study he was playing semi-normal with the toys as the toys were meant to be played with. Another part of the study was pretzels placed in a zip locked bag. First, a pretzel was given to him to eat and then the bag was sealed. At first he just threw the bag around frustrated because he couldn’t get to the pretzels. Results: He was bringing the bag to someone to have them open it for him. He was not speaking at the time, it was all gestures. Autistic children have a hard time with eye contact. They won’t look someone in the eyes. They can be trained though. Nick was trained to have eye contact as well while at the study. Results: Nick would look someone in the eye while they were speaking to him. As rewards, Nick was always be told “good playing” or “good eye contact” or given a pretzel when he asked for the bag to be opened. Once the study was over, the video was going to be used for helping other doctors and parents to train and help their Autistic children at an early age. A paper was also written. Colleges always offer study programs such as the one Nick was involved in. If your child is diagnosed with ASD, contact your local college and ask if you can place your child in one of those programs. It kick started Nick’s learning. Once the study was over, Nick was then placed in a pre pre-school class with other autistic children. He was nick-named “the shelf terror” because as soon as he walked into the class room, he began to start shoving and throwing toys off the shelves in the classroom. By the end of the session of that class, he was trained not to do it anymore and would come into a classroom and sit or play with toys. Being in that class helped him to develop skills so that when he started pre-school at a normal school in a special needs kids class, he would be accustomed to the classroom setting. He learned how to be around other children, to share, he loved dong puzzles and he learned how to hold a crayon so that he could color. Never in the lines though, just random coloring… a natural Picasso. He then went onto pre-school, kindergarten and progressed throughout the grades. He is now halfway through fourth grade as this book is being written. Nick writes his own name, speaks in phrases and short sentences well enough to communicate, reads, he understands everything you say to him, he takes directions, undresses himself and dresses himself, feeds himself, knows his ABC’s and simple math problems and has been potty trained for two years now. I did try medication with Nock a few years ago to calm his hyperactivity. The prescription he was given was made for an adult level. The whole weekend he didn’t eat or sleep and cried the whole time. After three days, I took him off the medication. Out of curiosity, I took one of the pills myself. I could not sleep or eat for three days. And that was just with one pill. I looked up the medication online and it was in fact, an adult dosage. I never have put him on any medication again that was prescription. I did do research on the internet on homeopathic treatments and have had him on Focus Formula™ and BrightSpark™ for about six months now. His teachers and I have seen noticeable improvement in the areas of aggression, less hyperactivity and focusing. They are drops made from all natural ingredients and taken three times a day. Nick’s Autism is on the severe level. He is three years delayed. Although he is nine years old, he functions on the six year old level somewhat. In other aspects he has high intelligence. He knows how to work a DVD player, we have Roku and he knows how to maneuver through their system to find what he wants to watch on television. He also knows how to work a computer and iPad for communicating and playing games. Nick loves Legos, puzzles, sticker books, reading books and loves to play games like Candy Land and Chutes and Ladders.. He loves to watch Disney movies and his favorite television programs are Barney, Handy Manny, Bob the Builder, Caillou, Super Why and Dinosaur Train. This year he has begun to socialize more and seek out the attention and playtime with other students and teachers. Nick attends a normal public elementary school and is in a special needs class with about seven to nine students. He is closely watched, but there have been some incidents. About two years ago, I received a call from the principal that Nick was missing. No one knew where he was. They put the school on lockdown and were trying to find him. A couple of hours later, they found him in the Media Room, sitting and quietly playing with toys. Someone had left the door open and he had snuck in. Another time, a couple of months later, Nick was caught trying to sneak out off the school campus through a slit in a gate that was covered by bushes. Luckily another student saw him and he was caught before he could escape. Nick is always calculating things in his mind. He doesn’t let his Autism stop him from getting into mischief. He has gotten better though and his school had to be “Nick Proofed”. He’s known at his school by all the students. Not because of his escape attempts, but because after lunch he is seen around the school with a teacher’s assistant collecting recyclables. It’s a calming mechanism for him after lunch and he loves doing it. Nick’s father died a couple of years ago and I have been raising Nick as a single mom. Being his mother and father comes with challenges, but I wouldn’t know how to raise a normal child without special needs at this point. Nick keeps me busy, but he is a joy to be around. He has a sense of humor and a smile that would melt your heart. His laughter is the most genuine laughter you will ever hear and he will make you laugh with the things he does. Even when he doesn’t realize that a flower on the television set isn’t real and it doesn’t smell. Even though he insists on smelling it. Mick’s symptoms are; repetitive behavior – he likes to line up his Legos, cars and other objects he is playing with. He repeats sounds and words when he is upset, excited or happy. He fixates on events such as breakfast, going to the store, doing laundry, etc.. If he knows we are going to do something, he will repeat it over and over again until the event is completed. Whenever he has sensory overload, too many things going on at once, loud sounds or bright lights, he spins to center himself. He loves to sing and talk to himself while he is playing. He is never quiet. He will repeat lines from his favorite television shows or movies, even though the show or movie isn’t on. One thing he does that family and friends love to see him do is when someone gives him a gift or something he likes, he places it on the floor and dances and jumps in circles around it. It’s a ritual he does if he likes something a lot. Christmas and Birthdays are when he usually does it. We then know that he truly loves what he has just received. Nick is a unique little boy and every day with him is an adventure. He loves roller coasters and spinning rides, things I cannot stomach myself. But, he gives me a good ride in parenthood each and every day. Whether it is ASD (Autism Spectrum Disorder) or just Autism. either are terms in general for brain development disorders that are complex. There are varying degrees to these disorders that include verbal and nonverbal communication, social interaction and relative behaviors. As of May 2013, all Autism disorders were merged under one umbrella diagnosis of ASD in the publication of the DSM-5 diagnostic manual. Before, they were recognized as distinctly different subtypes. Included in those subtypes were childhood disintegrative disorder, Asperger syndrome, Autistic disorder and pervasive developmental disorder. Although those with ASD can excel in such intellectual activities as the visual skills of math, art and music, ASD is associated with intellectual disabilities. Sometimes physical issues arise like gastrointestinal disturbances, motor skills, sleep problems, short attention span and lack of coordination skills. Autism strikes in the early brain development stages, usually between the ages of two and three years old. If signs of Autism and early symptoms are discovered and diagnosed, early intervention therapy and skill development can improve the outcome of the child's intellectual level. A big question that is on everyone's minds is how common is Autism? What are the chances my child will develop Autism? According to the U.S. Centers for Disease Control and Prevention (CDC), 1 in 88 children have Autism in the U.S. and as the years pass, the odds will increase. It's not a disease that is spreading like the flu, the numbers will increase because as we become more and more medically advanced, more diagnosis of Autism in children will be made. It has also been shown that Autism is more common in boys than girls. The statistics are 1 in 252 girls and 1 out of 54 boys will be diagnosed with Autism in the U.S.A.
Over 2 million people in the U.S. are affected by Autism. There is no one cause of Autism. Gene changes, a combination of risk genes and environmental factors are associated with influencing early brain development and causing Autism. Other factors to be considered are the parents age at time of conception, any illnesses during pregnancy, childbirth difficulties and pre-natal care. To reduce the risk factor of having a child with Autism, a pregnant woman should take her pre-natal vitamins, have a healthy diet rich with folic acid, light exercise - if possible and plenty of rest and sleep. Every person who has been diagnosed with Autism is unique in their own way. Some can have exceptional abilities in different skills such as music, academia, visual and math. Forty percent have intellectual abilities that range from average to above average. Autism is the fastest-growing serious developmental disability in the U.S. It costs on average, $60,000 a year to raise an Autistic child, and research for Autism receives less than 5% funding for childhood diseases. There is no cure for Autism and there is no way to medically detect Autism in children. As a parent, you need to look for the symptoms between the ages of two to three years old. If you see these symptoms, contact your pediatrician immediately for an evaluation. Early intervention can make a world of difference. Doesn't like to play with anyone, likes to be alone, doesn't like to be touched or held. Doesn't speak or communicate what he or she wants. Delayed speech or doesn’t speak. Lining items up according to size, shape, color, etc... Opening and closing doors and cabinets. Flapping hands, rocking back and forth, jumping up and down, spinning, repeating sounds or words. Will not look anyone in the eye. Not crawling, walking, ability to hold a crayon or complete an age appropriate puzzle at the normal age. Chronic constipation, diarrhea, irritable bowel syndrome. Epileptic, grand mal, petit mal or tonic-clonic. Too much sleep or not enough sleep. Difficulty processing sights, sounds, smells, tastes and movement. Too much light or too much sound may cause them to feel "over powered" and may scream or cry or cover their eyes and / or ears to hide loud sounds or bright lights. When your child is diagnosed with a disease like cancer, you immediately know what type of treatments there are for him or her and that there is a good chance of remission and having them cancer free for the rest of their lives because of chemotherapy or a transplant of some sort. Although there is no cure for cancer, there are remission periods. But, when your child is diagnosed with Autism, it’s a realm that is unknown for a lot of parents because there is no treatment or cure for Autism and there are so many factors involved, physically and mentally. Due to lack of research funding, little is known about Autism, but every year we are informed of new things pertaining to interventions to help Autistic children and their parents along. So, you’ve seen the symptoms and have taken your child in for an evaluation and the diagnosis is Autism. What do you do now? When I received Nick’s diagnosis, I was told to contact my Regional Center. You can find your Regional Center in your hometown or city. It’s a place where people with any type of disability can go and get the information of what your town or city has to offer. When I called, I was assigned a social worker. Her name is Sue. Sue has been with Nick since he was two years old. She has been the biggest help of all. She helped me get him into schooling, behavior therapy, respite care, medical insurance, etc… all sorts of things that I will go into later in this book. Sue evaluates Nick once a year in our home. She makes goals for him and sees if he has met previous goals. She also observes him at school and attends his IEP (Individualized Education Program) meetings. These are meetings with Nick’s teacher and the teacher assistants that make goals and teach Nick the skills he needs. There are special classes he has one on one with a teacher, such as motor skills. Your social worker will help answer any questions that you have regarding education options and medical treatments and any other issues that may come up. They know it’s overwhelming for a parent with a special needs child and it’s their goal and mission to make it as easy as they can for you. Because, trust me, it’s not an easy road. Your whole world will suddenly change. It won’t be so simple anymore. Well, as simple as being a parent can be. When Nick began to walk, I had to put up safety gates everywhere so he wouldn’t hurt himself. Most Autistic children have a high pain threshold. Some examples; my mother and aunt were watching Nick for a day when he was four years old. He walked over to a burning candle, picked it up and dumped hot wax all over his hands and face. All this happened within thirty seconds of no one watching him. Of course my mother and aunt almost had a heart attack. But, Nick never cried and when they checked him, you would think his skin would be red or even burned, but it wasn’t. It was as if nothing had happened to him. But, he could have been easily burned. Another time, Nick was five years old and he was running through the living room from his bedroom excited about something and he tripped and fell and hit his head on the corner of my wrought iron coffee table. I thought for sure he had split his head open. I rushed over to him and there was a large egg lump bruise on his forehead. Nick stood up and rubbed his head and said, “Ow.” As if nothing serious had happened. He didn’t pass out or anything and he didn’t cry. I put some ice on his head and he was more upset that he couldn’t go back to playing than he was with the bruise on his forehead. So you see, Autistic children need to be under constant supervision, even more so than children without any disabilities. Because of this, your social worker will set up a respite care system for you. Respite care is a person who comes and relieves you for a few hours, the whole day or goes with you to events and watches or helps you with your special needs child. They work for an agency that the Regional Center works with, they have CPR and First Aid training, extensive background checks on them and they work with special needs children constantly. Some are going to school to become special needs teachers or caretakers. A lot of them have experience with Autistic children. Depending on where you live and how your Regional Center works, you are allotted so many hours of respite care. For me, I am allotted 36 hours of free respite care every three months. I have worked from home ever since before Nick was born. I have never sent him to daycare, but sometimes, the respite care comes in handy when you want to go out with friends for dinner or a movie or to go shopping or just to relax in your room and read a book while the respite care worker watches your child. When your child is diagnosed with autism, they are eligible for Disability, if your income qualifies. Check with the Social Security office for more details. Regardless of your income, your child qualifies for medical insurance. California has Medi-Cal through Healthy Families. Nick is covered for medical, dental and vision. I pay $13 a month for it all. Check with your state to see what is offered. Also, depending on whether you are a single parent, or low income, you may also qualify for Medi-Cal, because you have a child with disabilities. Once on this program, you may be able to get free diapers with a prescription from your pediatrician. Your Autistic child more than likely will be wearing diapers until the age of seven or eight. There are programs offered to parents with an Autistic child. You can obtain a free iPad or iPod to help your child communicate. They are used in most schools now to help children with disabilities to learn. Every year around November, Disneyland offers a special price for disabled children and their families. Tickets are $49 each (prices subject to change) for each amusement park, California Adventure Park and Disneyland. The rickets can only be purchased in advance and are only good for the months of January and February. Check with your social worker about these tickets. Also, if you plan to take your child to an amusement park, zoo or a place where long lines are formed where you have to wait, you can go to the Customer Service desk and let them know that your child has Autism and that you need a pass, so that your party and your child do not have to wait in line. The pass is usually good for up to six people and you don’t have to show proof that your child is disabled. How it works: You carry the pass with you and when you want to go on a ride or attend a show event, you go to the exit gate and present the pass. You, your special needs child and your party will all be able to enjoy the ride or event together. My nephew loves going to amusement parks with Nick and I because we never have to wait in line and get to ride twice as many rides! There are private schools, public schools and there is home schooling for Autistic children. As Autistic children get older, some parents choose to home school their special needs child as they reach the junior high level. By then, their child has developed skills and the basics. More and more schools are offering online home schooling programs that can be done on the computer. In all honesty, I prefer to home school Nick once he is done with the fifth grade. Once he is out of elementary school, he won’t be having the special attention he needs and he won’t he supervised as much. I have fears of him being bullied and getting lost in the shuffle. Maybe that’s my protective mothering skills, but it’s the decision I have made. Also, you can find websites that sell educational toys and items for special needs children with Autism. Toys that will entertain them and help them develop skills and learn. It's not always easy or knowing what to do when you end up in situations with your Autistic child. 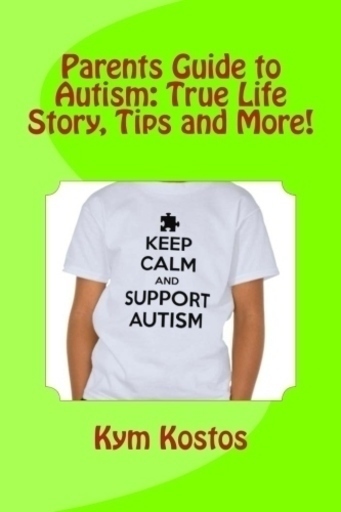 I have some tips that could possibly help you in different situations you find yourself in with your Autistic child. Seeing a normal child have a tantrum is disturbing. But an Autistic child takes tantrums to a whole new level. When an autistic child throws a tantrum, it would be easier to talk a suicidal jumper off the ledge of a building than to calm an Autistic child down from a tantrum. If you ever see an Autistic throwing a tantrum in public, never tell the parent to control their child or quiet them down. Case in point: When Nick was five years old, I had taken him and my nephew, who was ten years old at the time, to Disneyland. It was at nighttime and we were heading home, but before that, we stopped at a diner to have some dinner. I was exhausted and hungry and so were the kids. It was a crowded place and the service was slow. I knew Nick was going to throw a tantrum because he was tired and hungry. Sure enough, not even five minutes later, the tantrum had begun. I asked the waitress to bring me a bowl of fruit to pacify Nick until our meal came. In the meantime, a kid from another table came over to our table, he was about my nephew's age, and said, "You need to control your kid." Daggers must have darted out of my eyes, because the next thing I knew I was blurting out, "Go back to your table, shut up and mind your own business, my son is Autistic!" The kid didn't say anything and left to go back to his table. I never saw or heard from him again. Autistic children will scream, cry, hit and kick during the course of their tantrum. To avoid tantrums, be prepared. If you are going somewhere and chances are that you will have to wait for your meal, bring a little snack with you. Some crackers with peanut butter, perhaps. As soon as you sit down at the table, give the Autistic child the crackers (or his favorite snack) and that will pacify them until his or her food comes. When in a restaurant, always make sure they have booths. So either yourself or another person can block the Autistic child in. Unless of course, they are small enough for a high chair. Then there won’t be any issues of “escape”. Also, if your Autistic child is anything like my son Nick, he is very picky about the food he will eat. Some autistic children will only eat crunchy foods, or foods that are only red. Nick, will only eat something that he deems “smells good”. If he doesn’t like the smell, he won’t eat it. Simple as that. But, he loves French fries. I believe French fries are the one staple food that all kids love, Autistic or not. So, always go to a restaurant where they serve French fries, in case your Autistic does not like anything on the menu. When you are outside walking to the car or in a parking lot at a store or mall, Autistic children, if they do not have proper training, will take off running without any worries of danger. This will give any parent early gray hairs. From when your child begins to walk, always hold their hand anywhere you go. I mean anywhere. Even if there isn’t any danger involved around you. Getting them into the routine of holding your hand, whenever you are outside of your home, will train them properly to always hold someone’s hand whenever they are outside their home. This will stop them from running off and getting hit by a car or harmed. Case in point: I began training Nick to hold my hand whenever we would leave our house. Now, even when I walk him to his bus stop, which isn’t far from our front door, as soon as we walk outside, he immediately grabs my hand. Even though Autistic children need to be constantly watched and supervised, they do like their independence and you should encourage them to be as independent as they can be. I let Nick pick out his clothes to wear for the day, even though he can’t dress himself yet. I let him pick what he wants for dinner and of course he can feed himself. He can drink out of a cup, but it’s easier for him if he uses a sippy cup. Autistic children love routine. It lets them know what is next and it gives them a sense of control on a way because they know what to expect next. Nick’s routine at night is eat dinner, clean his room, bath time, cuddle with mommy, then bed. Every night. Without fail. It’s his routine. It’s what he is comfortable with and knows. If I derail from his routine, he is not a happy Nick. Every Autistic child is different, so what might work for some, may fail miserably on another. The best way to know is to do your research. Find out as much about Autism as you can and find out what your options are in dealing with situations with your Autistic child. Special needs kids need extra special love and care, but in return, they do have a lot of care to give back to you. Remember to keep your Autistic child safe, secure, cared for and most of all loved. He or she will grow up to be a wonderful adult who could have a job and a place of their own someday.